If you’re among the 39 million people hitting the road for Thanksgiving this year, here are some travel tips to keep in mind while you’re on the road. Plan ahead – Make sure you know where you’re going and how to get there. 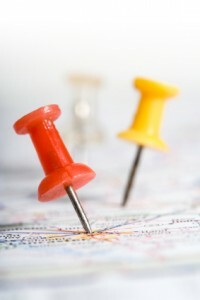 GPS systems are a great way to ensure you’ll get where you want to go. If you don’t have a GPS, you can use your smartphone for directions, but it’s a good idea to print directions just in case the battery dies. Having a map in the glove compartment is also a smart idea. Consider the weather – With winter storm Boreas making its way across the country, it’s a good idea to take the weather into consideration when planning your trip. If conditions look like they might be unsafe, consider leaving earlier or later, an alternate route, or if necessary, staying home. Get the car ready – You never know when a tire’s going to go flat or the engine won’t start. Make sure you’ve got the essentials such as a tire repair kit, jumper cables and flashlight. Drive Safety – With the increased volume of traffic on the roads for Thanksgiving travel, drivers are bound to be a little more on edge. Make sure to keep an eye out for aggressive drivers. Also, avoid distracted driving practices like talking on the phone or texting. Hand the phone to a spouse or family member if you really need to take the call. Read more Thanksgiving travel tips here and here. 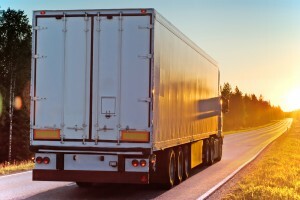 Are Driverless Trucks on the Way? There’s been plenty of buzz about driverless cars recently, but not as much about driverless trucks. However, some think that driverless trucks could actually be the first generation of driverless vehicles, as opposed to passenger vehicles. Furthermore, both types of autonomous vehicles could be closer than we think. According to Overdrive Online, “They could be available to motorists in 10-20 years, according to Rep. Tom Petri (D-Wis.), chairman of the House’s Highways and Transit Subcommittee, which heard testimony Nov. 19 on autonomous vehicles and what Congress should do to prepare.” Petri also stated that the advantages of autonomous vehicles include safety, easing congestion, and more efficient use of infrastructure. However, the term autonomous may be a little misleading. Fully-automated vehicles that drive passengers to a destination with little or human input are a long way off, according to National Highway Traffic Safety Administration administrator David Strickland. However, the alleged benefits of these vehicles are definitely spurring significant research and development into the field. While autonomous trucks are estimated to cost a lot more off the bat than conventional trucks, Peter Conway of Booz & Company predicts that usage savings could be around $100,000 annually. However, the truck itself could exceed $200,000, not including the tractor or trailer. Posted in Semi Trucks | Comments Off on Are Driverless Trucks on the Way? 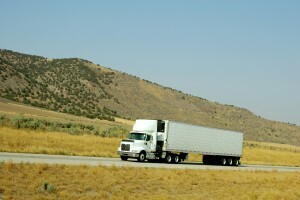 Fuel economy is very important for truckers, who are always looking to improve their bottom line. Advancements in cab and trailer design are always being made in order to improve aerodynamics, and therefore fuel economy, but even truckers with older cabs and trailers can reduce the amount of fuel they use with a few simple techniques. According to Overdrive Online, slowing down, even slightly, is a great way to help your bottom line. “Slowing down 1 mile per hour will improve fuel economy by 1/10 of 1 mile per gallon. That may seem small, but it equates to about $1,000 each year in most operations.” One thousand dollars for simply reducing speed by one mile per hour? That’s a pretty good tradeoff. 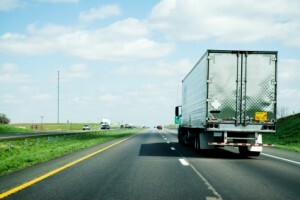 Practicing progressive shifting does more than just reduce fuel usage. It’s easier on your tires and yoru driveline, extending the lifespan of both. Progressive shifting involves getting the truck moving at the lowest-possible rpm in each gear, meaning quicker shifting overall. Curtailing rapid acceleration and deceleration improves fuel economy not just in trucks, but in all vehicles. Driving a little smoother uses less gas, and is safer as well. Watch the pyrometer when you’re climbing up a steep hill. Downshifting earlier in order to keep the boost and pyrometer low will let you climb the grade without having to floor it. If you see another hill coming up once you reach the crest, allow the truck to gain a little momentum while coming down the hill to give it a boost up the next hill. However, mountain grades require the use of low gear, and low speed, in order to maintain control. Fossil fuels are a finite resource, and as such the demand for renewable energy sources is increasing. However, fuel giant Shell is predicting that while vehicles that run on renewable energy will increase, conventional fuels like diesel and gasoline are going to power the majority of vehicles for the a good part of the 21st century. Richard Tucker, Shell’s General Manager for Technology for Commercial Fuels and Lubricants, said in a press event in Germany that two thirds of the vehicles on the road in 2050 are still going to be running on conventional fuels. He also stated that an additional 2 billion vehicles will be on the road by that time, which makes improving fuel economy and cutting emissions an important task. Shell is investing in both low viscosity oil, which can improve fuel economy in trucks, and gas-to-liquid, “which is a clean-burning, low-sulfur and very low-emissions fuel when converted to diesel,” according to Overdrive Online’s website. Check out the full story here.